As members of the following associations, we comply with strict codes of practice and meet very particular standards. We’re regularly inspected to ensure our facilities, equipment, staff training and operational procedures remain at the highest level. 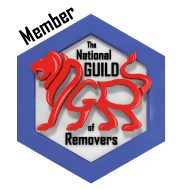 Membership of the British Association of Removers (BAR) is a badge of quality for the removals industry and choosing a BAR member guarantees you’re choosing a reputable, professional and safe remover. The Trading Standards Institute has approved the code of practice we follow, which is run by BAR. By clicking on the BAR/TSi logo above you will be automatically directed to a page on the Trusted Mover website which will validate our status as a BAR Member. As members of the BAR Commercial Moving Group (BAR CMG) we are acknowledged as qualified specialists in commercial removals to the public and private sector, including small and large business relocations and logistically complex projects. The Self Storage Association (SSA UK) is the principal trade association representing self storage operators in the UK. The SSA UK sets the standard for the industry and promotes best practice. As a Guild Member, we offer a package of consumer protection measures designed to promote quality, protect your belongings and take the stress out of your home move. We’ve achieved the Guild’s Annual Certification of Excellence three years running, with over 98% of our customers rating our services as ‘excellent’ or ‘good’. As the British Association of Removers (BAR) Member we are members the Furniture Ombudsman (TFO) who provides an impartial and independent dispute resolution service for consumer complaints which we are unable to resolve ourselves. This gives you complete peace of mind. Not only will you be using a reputable, professional and safe remover, but you will also be protected from unfair practices and, in the unlikely event that something goes wrong, have an independent service to turn to. We joined forces with Movin’UK to form the Alexanders Group.